Matt Smith https://onepotbrewing.wordpress.com/ home brewing, reading, philosophy, religion, exercise. Husband and father. I am a devoted follower and advocate of brulosphy.com, a group of guys that do legitimate scientific experiments on the homebrew scale. I stress on the homebrew scale because that’s what’s important and what’s original about the site – they are not trying to debunk the science of brewing; rather, they are simply showing that many of the techniques that apply to professional brewing don’t necessarily matter or make a difference on the homebrew scale. They have done over 100 experiments, and I take them all seriously. My cliff notes on the entire site: stop worrying so much; brewing good beer is easier than you thought; mind your water. At least that’s my interpretation. I jumped for joy when I read these experiments. 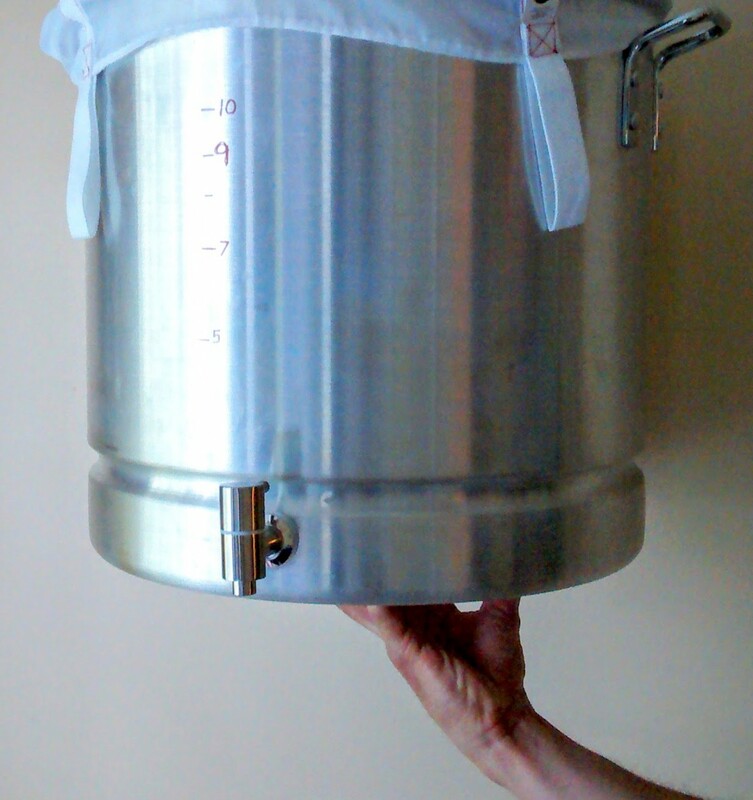 These are by far my two favorite techniques because they save the most time and, for me, guarantee a 2 hour brewday (and I’ve enjoyed 1:30 brew days). To brew a quality beer in under 2 hours on a Monday night or during my son’s nap- that’s a beautiful thing. In the official experiment, the author compared the same Oktoberfest, one mashed for 30 minutes and another for 60. Sadly a triangle test wasn’t done on this one, but the blind sensory panel was mixed and mostly split down the middle on which beer they preferred. They couldn’t tell the difference, although the author claimed to prefer the 60 minute mash (although he wasn’t blind to the experiment). Here he brewed a decent 2 gallon beer with a 15 minute mash and boil. Nice! Here he brewed a decent 5 gallon batch with, again, a 15 minute mash and boil (although he calls it “lifeless”). I think the recipe was to blame, honestly. Here they brew an 11 gallon batch and mash for only 20 minutes, a lager which turned out delicious and fooled everyone at a fancy homebrew conference. Here they brew a delicous hoppy NEPA mashed for only 30 minutes. Clearly cutting your mash by (at least) half works. I will honestly never go back. A few months ago, I was hanging out with a professional brewer that agreed: barley conversion, from starch to sugar, doesn’t take very long. The first 30 minute boil experiment produced a hoppy pale ale that people couldn’t tell apart from the same beer boiled for 60 minutes (in fact the short boil beer was the overall preference). Then, amazingly, he compared a pilsner beer boiled for 30 and 90 minutes – which tasters could not tell apart! Pilsner malt is “supposed” to be boiled longer because of “DMS”. They send samples to the lab: no DMS. I ‘brewed’ this several months ago and stashed several bottles in the basement. Last night, my wife wanted a cider, so I went to the basement and cracked open a bottle. I had to appreciate the clarity, the sparkle, and the fizz of a simple cider fermented with champagne yeast. It was delicious. You get a big whiff of champagne, high carbonation, a crisp refreshing bite, and a tiny hint of apple sweetness. This proves that you can make a good cider with the simplest ingredients: I literally added 6 gallons of regular apple juice on sale, from the grocery store, nothing fancy. I dumped the juice into a bottling bucket, added champagne yeast, and bottled about a week later. For my next cider, I want to dry hop with about 4 ounces of Citra or Centential. I think that would add a nice complexity.